We’ll soon be heralding in the new year, and as is customary, companies are beginning to commit to their end of year practices. Be it the YouTube Rewind video we get every year or the Spotify yearly review, we’ll soon be inundated with recaps of the past year. 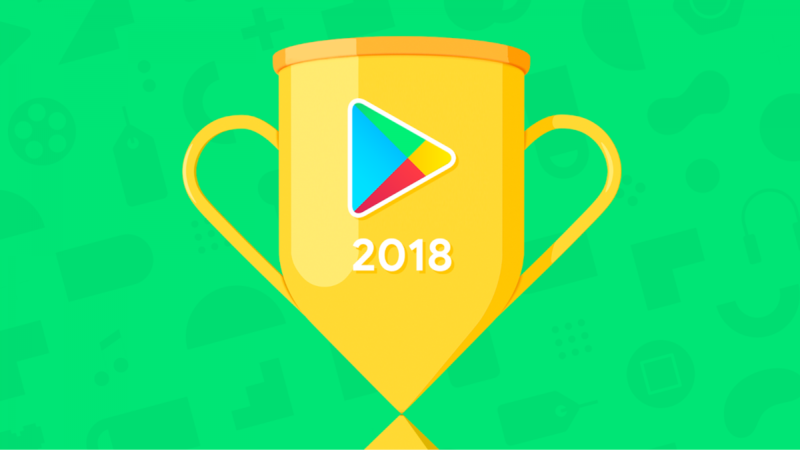 The Google Play Store is no different, and Google has released their Best of 2018 list. There are games like PUBG, educational applications like Mimo and…there’s Tik Tok. There are some absolutely amazing applications released in the past year, and it’s no wonder why some of them have been listed by Google as having some of the best of what 2018 has to offer. There are a number of other great applications that have gone outside of the box entirely. Applications like Drops, where you can learn 31 different languages for free, or games like PUBG which may be interesting for anyone who likes competing. There are some other cool things too, like a podcast radio app and a voice notes application. As for Tik Tok, well, it has become somewhat of a global phenomenon in recent months, taking the throne that Vine once held many years ago. The platform resembles Vine in a number of ways and has led to some very popular compilation videos on YouTube and the birth of many different memes. Looking back on the year gone by, it actually makes a lot of sense that it has done so well for itself in 2018. Love it or hate it, it’s clearly here to stay. There’s a huge amount of variety in the list that Google has released, and I’m sure plenty of them you’ve never heard of. Scroll through, give a few of them a try, and let us know what you think in the comments! You can also check out the full Best of 2018 list here from the Google Play Store.